Evanston is on move with installing more protected bike lanes on its streets. Earlier this summer, the City of Evanston began construction of a two-way barrier protected bike lane along a 1.9-mile stretch of Sheridan Road and Chicago Avenue. The bike lane is part of Evanston’s Sheridan Rd.-Chicago Ave. Improvement Project. Phase one of the project included the recently completed protected bike lane on Chicago Avenue. Phase two, which is currently in progress, involves extending the bike lane north along Sheridan Road to Lincoln Street. Expect road closures at several intersections along Sheridan Road between August 7 and 21 while pavement construction is in progress. In addition to the bi-directional bike lane, which will be separated from traffic by a concrete barrier, the project entails transit and pedestrian-friendly street enhancements, including refuge islands, curb extensions, designated bus pull-off areas and a reduced speed limit from 30 mph to 25 mph. The project is a great example of how a suburban community can push forward the concepts outlined in the Suburban Bikeways for All Report. By pursuing local and state funds, the City of Evanston will be creating a low-stress bike network on two major streets in the suburbs. These street improvements are a much welcome addition to Evanston. Last year Northwestern student Chuyuan Qiu from China was struck and killed while riding her bike on Sheridan Road. The new bike lane and other street improvements included in the project will help prevent such tragic deaths. 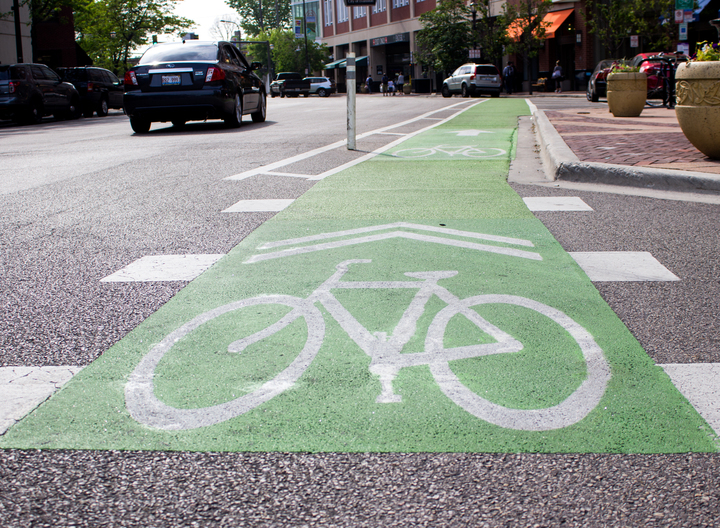 We applaud Evanston for their progressive approach in creating safe streets for all road users. Sign up for Active Trans’ advocacy email list and stay up to date on exciting biking, walking, and transit projects happening in your community.